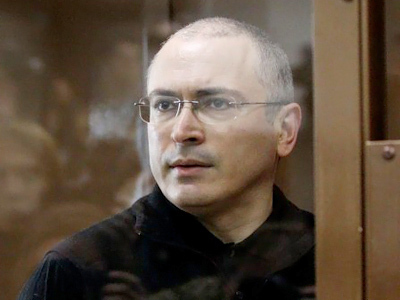 The European Court of Human Rights has ruled that former Yukos head Mikhail Khodorkovsky’s rights were violated, but refused to call the prosecution against him politically motivated. ­The rights of Khodorkovsky – then-richest Russia’s man – were violated after his arrest in 2003, the European Court of Human Rights (ECHR) in Strasbourg ruled on Tuesday. 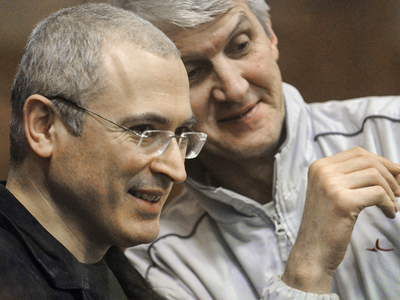 It ordered Russia to pay the former Yukos CEO $35,000 in damages and court costs. There were violations in the conditions Khodorkovsky faced in court and in a remand prison, the court said. Its ruling also relates to the length of time he was held pending investigation and trial, as well as procedural flaws related to his detention. However, the court rejected Khodorkovsky’s complaint that the prosecution against him was politically motivated. Yury Shmidt, a lawyer for the former Yukos head, said that at the time of filing the complaint with the ECHR the court did not find violations of Article 18 of the European Convention on Human Rights “that we call political.” In its decision, the ECHR relied solely on the material provided at the time, he told Interfax, adding that this does not mean that the decision “had been made once and for all.” The lawyer noted that the ECHR conclusion that the case is not politically motivated has no impact on the future fate of the ex-Yukos chief. Russia is ready to appeal against the ECHR's Khodorkovsky ruling if it finds grounds for doing so, Russia’s envoy to the European Court Georgy Matyushkin said on Tuesday. Russia has three months to appeal with the court’s Grand Chamber. But to assess the prospects, the decision should be carefully studied first, the envoy noted. 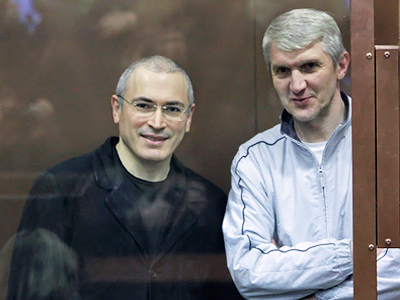 A Moscow appeals court last week upheld the second conviction of Khodorkovsky and his business partner Platon Lebedev on charges of stealing oil from Yukos. In December 2010, the Khamovnichesky court in Moscow found both men guilty of embezzling and money-laundering and sentenced them to 13-and-a-half years in prison. The verdict implied that they would be released in 2017. On May 24, the Moscow City Court ruled that Khodorkovsky and Lebedev had stolen the profits from 128 million tonnes less oil than they were initially accused of. Their prison terms were reduced by one year. Both Khodorkovsky and Lebedev have filed a request for early parole to Moscow’s Preobrazhensky Court. At the same time, they have not asked for mercy or admitted their guilt. 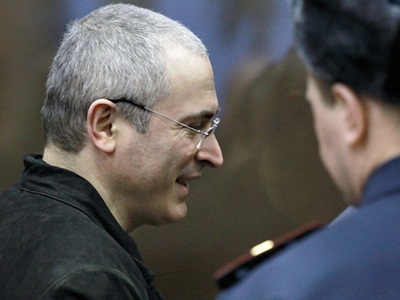 “I do not admit my guilt, because I continue to appeal my conviction,” Khodorkovsky said in his petition. He stressed that he already served more than seven years, or over half of the 13 years he was sentenced to. The charges on which he was convicted envision the possibility for early parole. On Tuesday, the Preobrazhensky Court received the petition that Khodorkovsky lodged through the remand prison administration on May 27. The date to review the appeal has not been set yet, Moscow City Court spokeswoman Anna Usacheva told Itar-Tass. According to the legislation, the parties must be informed about the date and venue of the hearing on this issue not later than 14 days in advance. 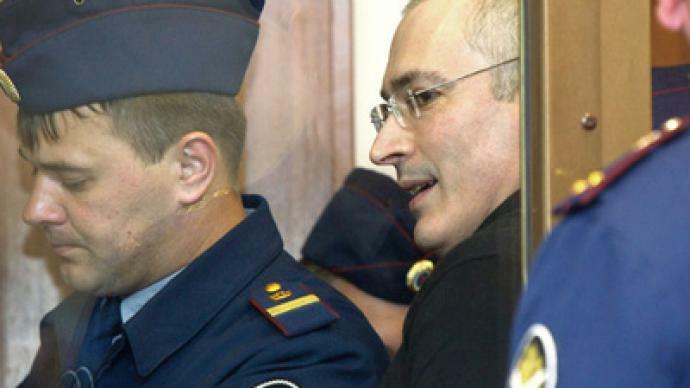 Khodorkovsky has the right to take part personally in the hearings over his petition. Khodorkovsky and Lebedev have fifty-fifty chances of receiving parole, head of the State Duma committee for civil, criminal and arbitration legislation Pavel Krasheninnikov said. Under the Constitution, the former Yukos executives had every reason to ask for parole, he stressed. Vladimir Kolesnikov, Russia’s Deputy Prosecutor General, who was supervising the Yukos case, supports the idea of an early release for Khodorkovsky and Lebedev. “We would offer them our hand, [saying] ‘Come out [of jail], you’ve been punished, that is enough,’” he said. But if the two ever committed a similar crime, the parliamentarian warned, they would be punished to the full extent of the law. Kolesnikov believes that Khodorkovsky’s and Lebedev’s chances to gain their freedom earlier are pretty good, since they have had no disciplinary penalties while being behind bars. In addition, he said, the two former Yukos leaders pose no threat to society. Editor-in-chief of Business New Europe magazine, which covers countries from the former Soviet Union, Ben Aris, says he didn’t expect such a ruling from the European Court of Human Rights. “Given all the noise around it, there was a real possibility that they would rule that he was a political prisoner. That would have seriously complicated Russia’s relations internationally and also undermined their authorities domestically. So the fact that they came out saying he’s not – that is a bit of a surprise,” Aris said.